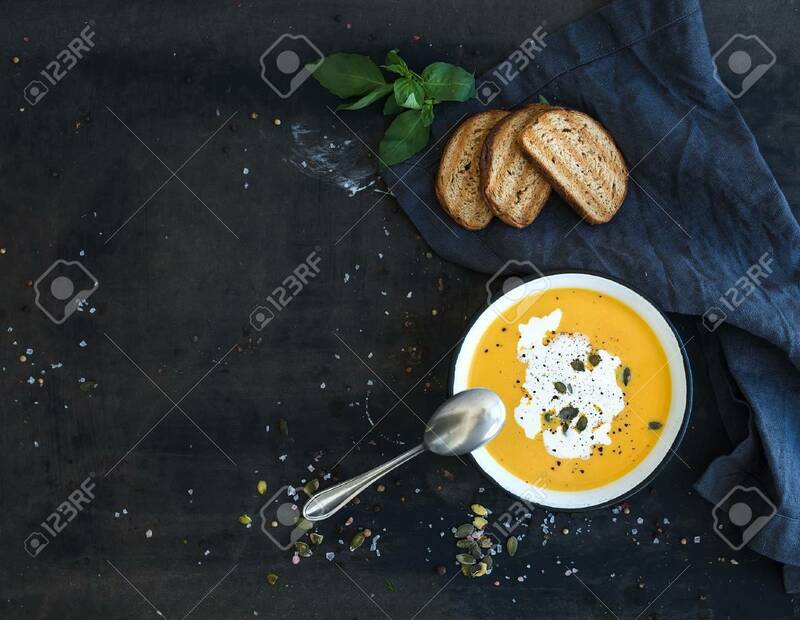 Pumpkin Soup With Cream, Seeds, Bread And Fresh Basil In Rustic Metal Plate On Grunge Black Background. Top View, Copy Space Zdjęcia Royalty Free, Obrazki, Obrazy Oraz Fotografia Seryjna. Image 40578087.